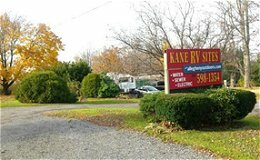 Kane RV Sites on 628 North Fraley Street in Kane, Pennsylvania is located on Scenic Route 6 in the beautiful Allegheny National Forest Region. They offer 8 RV sites with water, sewage, and electric. 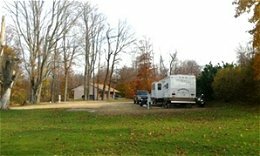 Kane RV Site is at the doorstep to all the adventure that the Allegheny National Forest is offering year round: hiking, biking, fishing, hunting, boating, canoeing, kayaking, and snowmobiling. Here you have the convenience of outdoor recreation at your doorstep, while shops and restaurants are within walking distance. Ask for daily or weekly rates. Stay six nights and get the 7th night free!